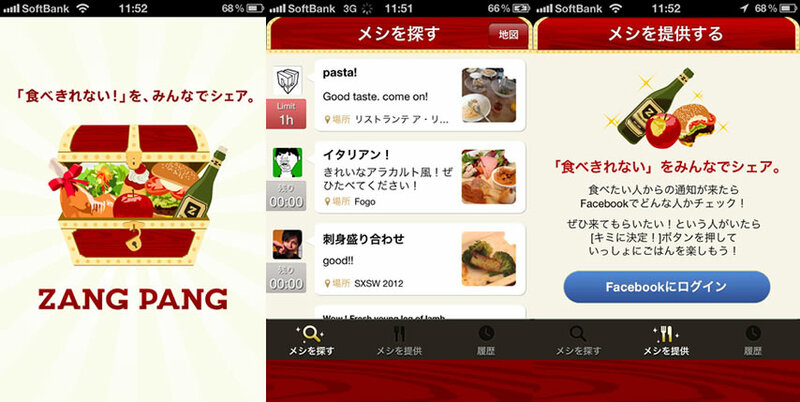 Kayac announces release of ZangPang, iPhone app to share leftovers that you cannot eat anymore! Kayac has released ZangPang on App Store. ZangPang is an app based on the concept of sharing leftovers with others. It is a social sharing platform for leftovers, allowing users to upload information about leftovers and invite others to grab a bite. If you order too much at a restaurant or a bar, use ZangPang to share pictures and information about leftovers so that those who want to eat something can search nearby leftovers and grab a bite. ZangPang is a social sharing platform for leftovers, connecting those who cannot eat anymore and those who want to eat something. And it also contributes to reducing the amount of food that is thrown away, and building a more ecological environment.